So much bad stuff happened in the 2011 session of the Indiana General Assembly that it was hard to keep up. Truly egregious legislation was passed and signed into law without much attention. A companion measure, Senate Enrolled Act 590, included a ban on local or state government making “a postsecondary education award, including a scholarship, a grant, or financial aid,” to undocumented students. The laws are still on the books. It’s way past time to repeal them. 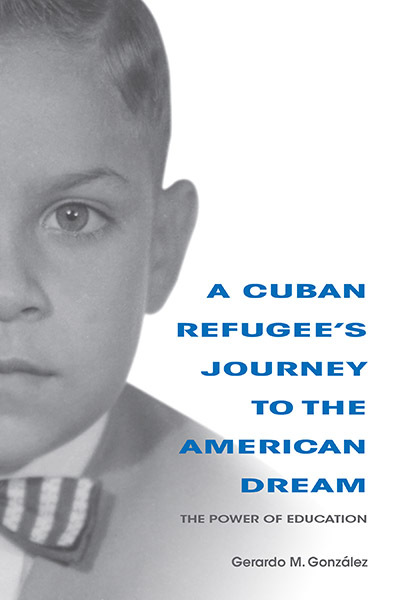 Gerardo Gonzalez’s “A Cuban Refugee’s Journey to the American Dream” is an inspiring account of the transformative power of education and hard work. It tells the deeply personal story of how Gonzalez grew from a shy, bullied child to a successful scholar and university administrator. Gonzalez, dean emeritus of the Indiana University School of Education, left Cuba with his family at age 11 and struggled as a Spanish-speaking immigrant in a strange land. An uninspired student, he enrolled in community college on a lark, fell in love with learning and went on to a stellar career. In the book, he is generous with praise for the family, friends and mentors. Only two figures appear as adversaries: Fidel Castro and Tony Bennett. Bennett, the Indiana superintendent of public instruction from 2009 to 2013, clashed with Gonzalez over a proposal called REPA, Rules for Educator Preparation and Accountability. The superintendent and his allies wanted to rewrite teacher certification requirements to require more college credits in subject areas like math and let some teachers become licensed without studying education.